Nowadays, there are so many ways we can connect with potential customers. There’s email, social media, instant messenger, and carrier pigeon (just us? Okay.). And while those are great, they aren’t as personal as a phone call. Enter Novocall and its callback widget. Now, you can easily get on the phone with customers so you can close more deals and tailor your customer service. But you have to act fast because codes are disappearing! 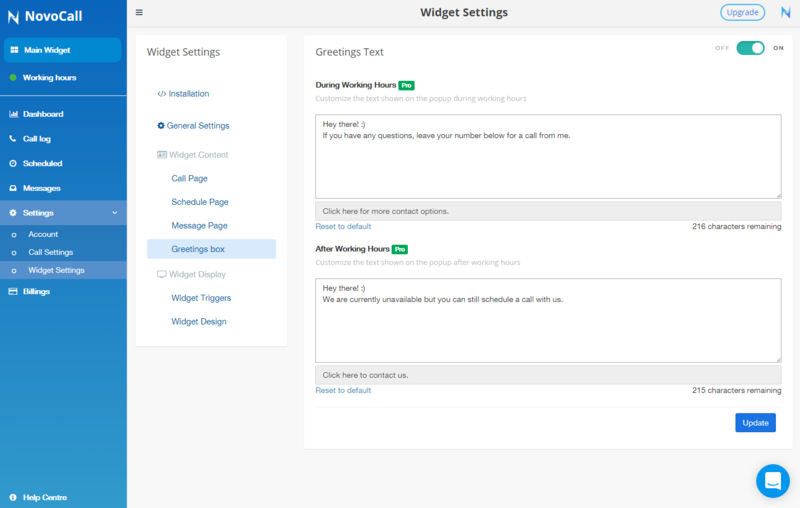 While on desktop, your widget will pop up based on your site visitor's behavior and intent. It can even sense exit intent and pop up before the customer leaves. (Where do you think you’re going, Kendall?!). Companies typically respond to inquiries within a few hours. But with Novocall, the average lead response time is 20 seconds. When it comes to sales, it pays to be fast. The productivity doesn’t stop with fast response times. 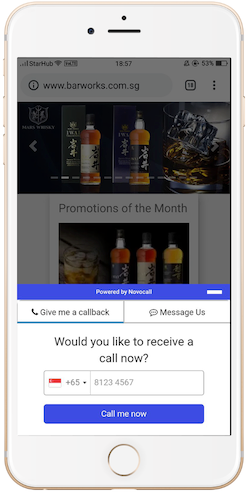 You can also send alerts/reminders to salespeople as well as reminders/SMS texts to clients. Thanks to webhooks, you can customize and integrate Novocall with your custom extensions and applications. You can even throw in a Slack Integration to receive automated call notifications and context in real-time. And you can track data to see which channels are working best for you. Novocall is even great after work hours. If your team decides to go home to take their nightly 8-hr nap, the widget will ask customers to schedule a call. No more missed calls making you wonder what could’ve been. Some bonus features were added for this deal. 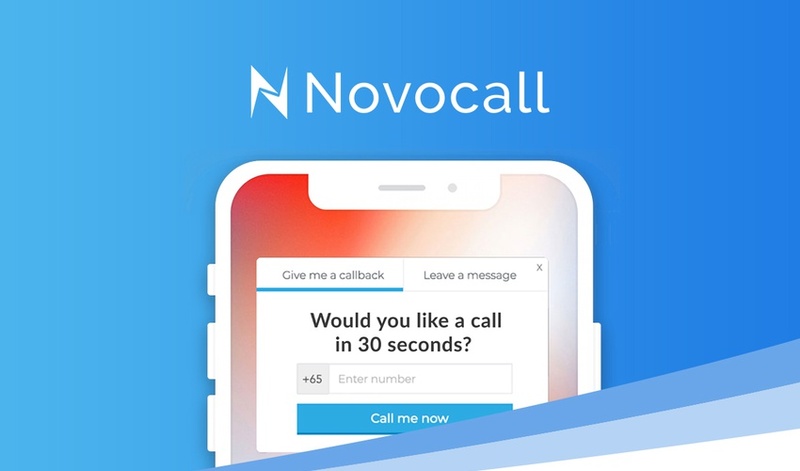 Compared to other click-to-call solutions, Novocall’s is the most versatile. With Novocall, you can not only embed your widget in a website but also as a link so you can throw it into emails, CTAs or even chatbots when it’s time for a human to take over. You’ll also benefit from the fact Novocall supports international calls to roughly 40 countries! 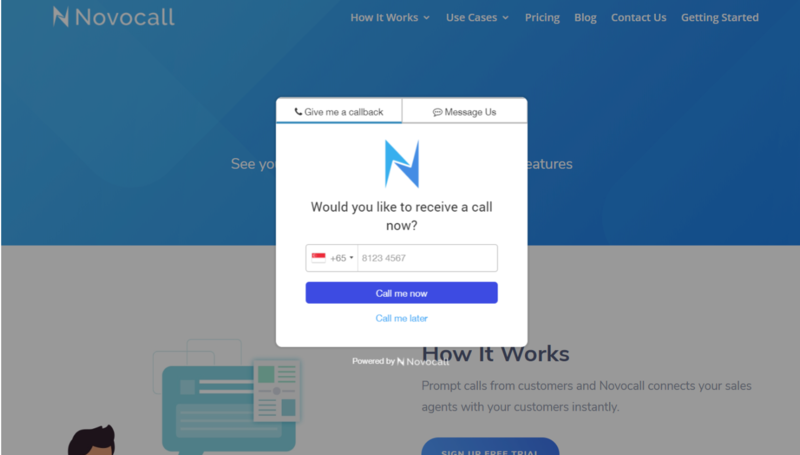 And in the future, Novocall will be implementing WEBRTC calls so that customers will not need to input their phone numbers to jump on a call. The free alternatives are not that great because it usually just involves customers leaving their number on a contact form. And unless you’re checking that form constantly, your response time will be much slower. It’s 2018. Unless people want to yell at you, people aren’t going to search for your phone number and dial it just to talk to you. But, with Novocall, you can give them a simple button to click and have them on the phone within seconds. Grab this conversion-inducing machine for only $49! Just be sure to snag a code before they're gone. P.S. Check out the awesome things Novocall will be rolling out next: Novocall Roadmap. P.P.S. Have a question about Novocall? Well, chances are it's answered here: Novocall FAQ. Novocall: Who you gonna call?